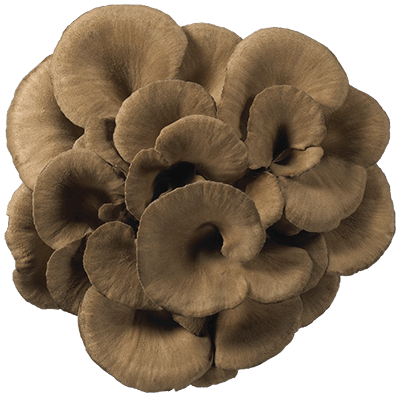 Maitake offers a significant source of Vitamin D (60% RDV), Dietary fiber (11% RDV), Iron (10% RDV) and Pantothenic Acid (10% RDV). 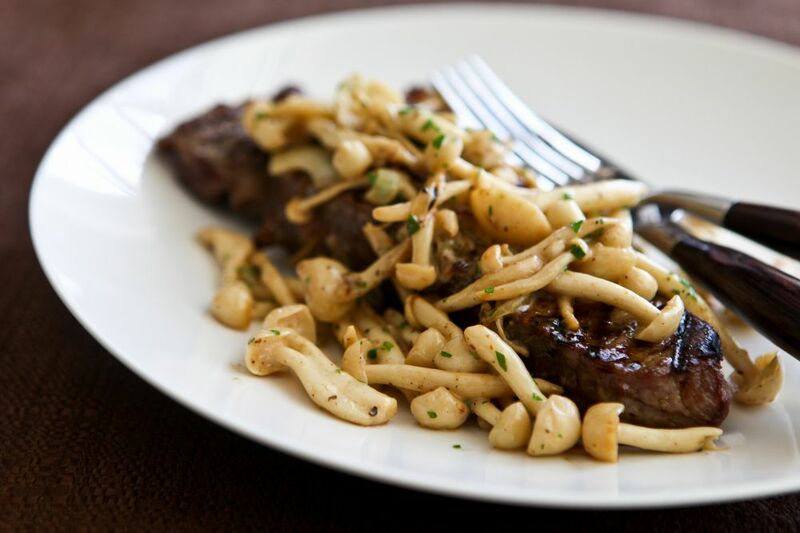 It is a key ingredient for the savory, rich flavor known as the fifth taste, “Umami”. 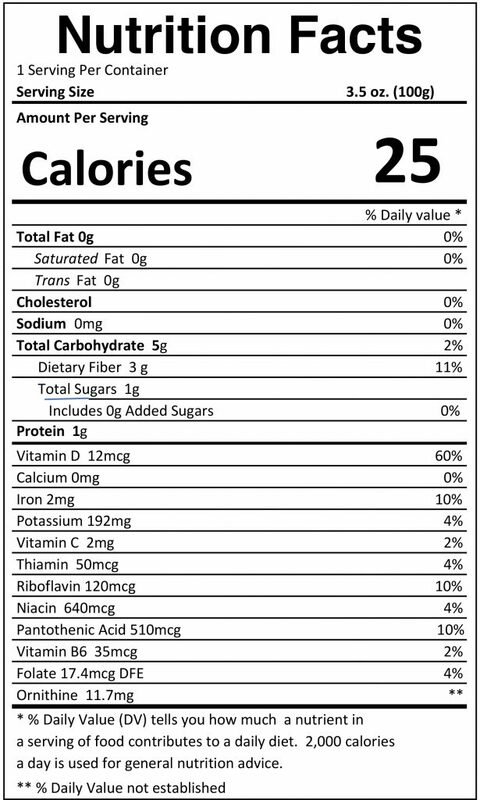 It is also cholesterol and sodium free in addition to low in calories. 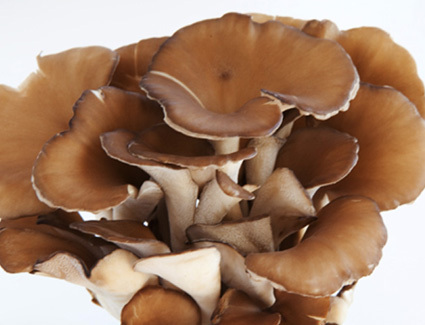 Many researchers have been noted of Maitake health benefits as used in Asian medicine to enhance the immune system. 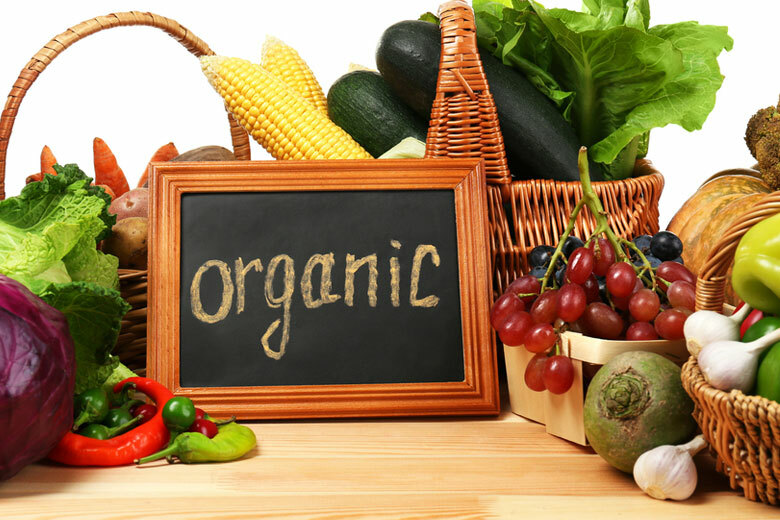 Maitake is also rich in antioxidants which have been known to help prevent or fight cancer. 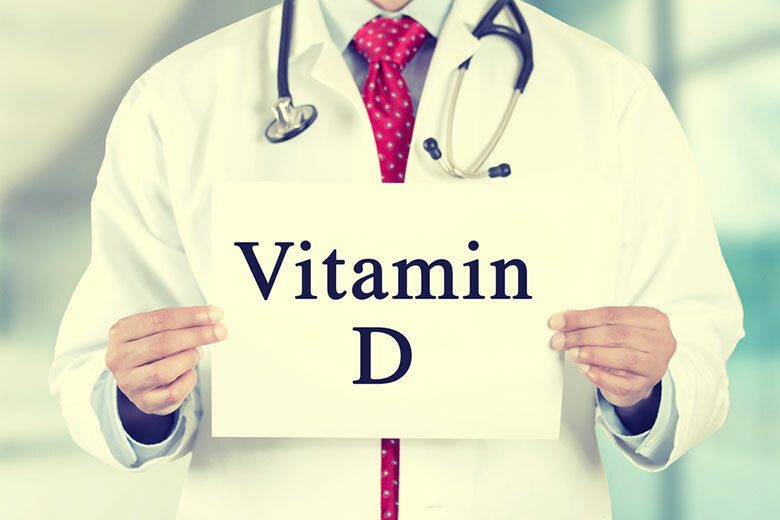 According to The National Institutes of Health (NIH), Vitamin D is a nutrient important for promoting overall health and is especially important in developing and maintaining strong bones. 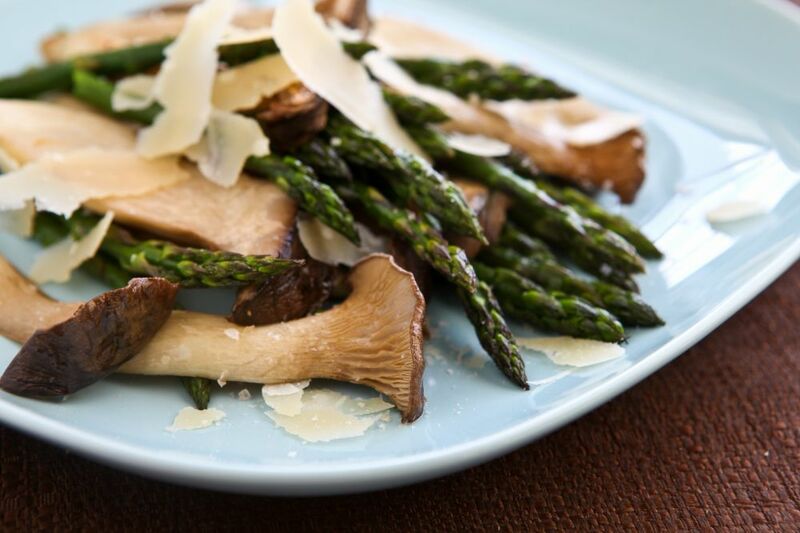 Maitake has a firm texture and robust, earthy flavor. 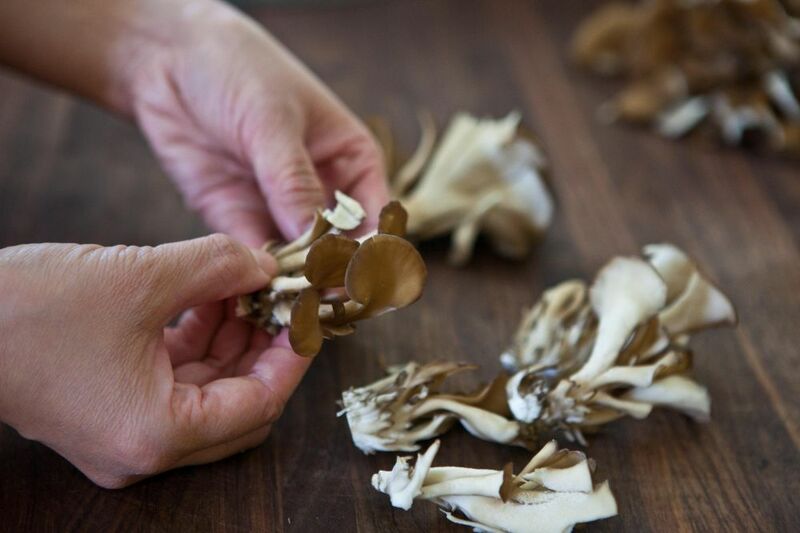 In Japanese, Maitake means “dancing mushroom.” Some believe that, in ancient times, people danced for joy upon finding these mushrooms, which were worth their weight in gold. 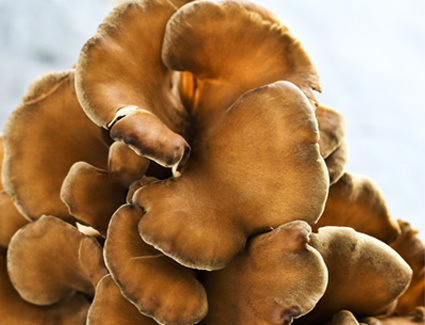 Others say that name derives from the mushroom’s shape, which resembles a dancing nymph. 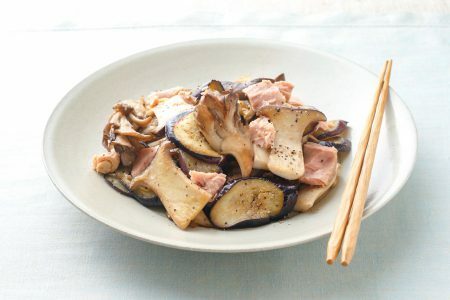 It is a good source of protein and is an essential ingredient for the flavor known as “umami”, a unique, savory flavor, that makes Maitake a good meat substitute. 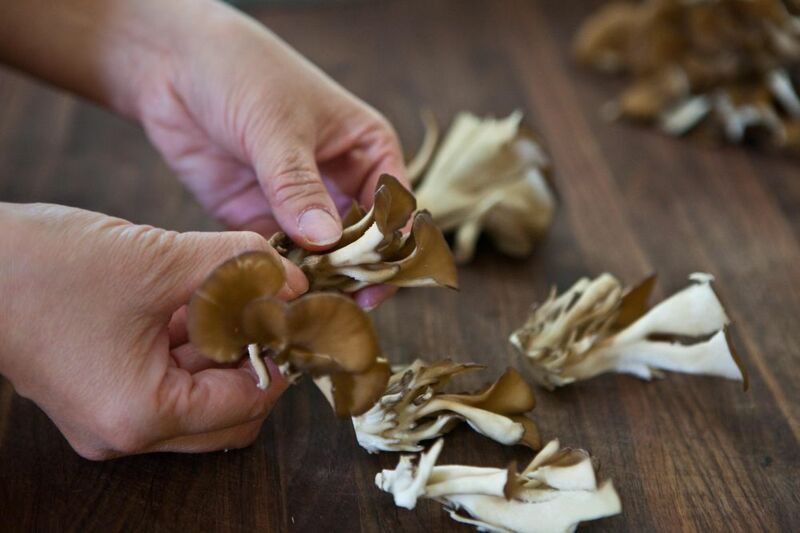 Maitake can be eaten in clusters or separated. 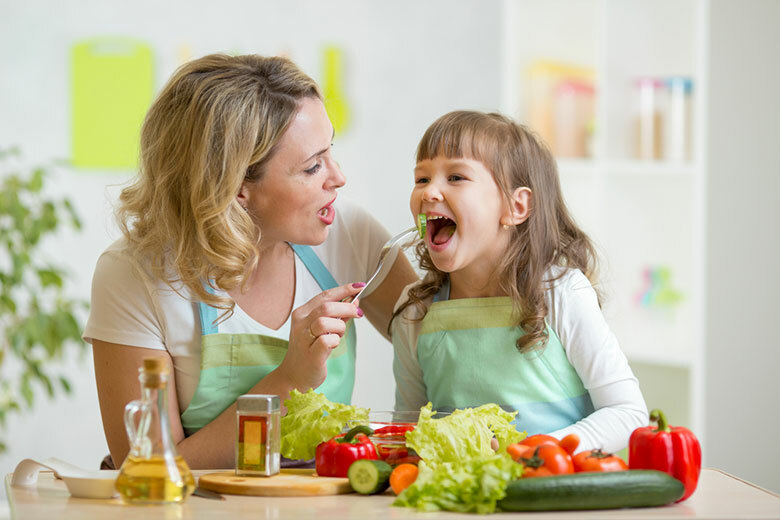 They are clean and ready-to-cook. 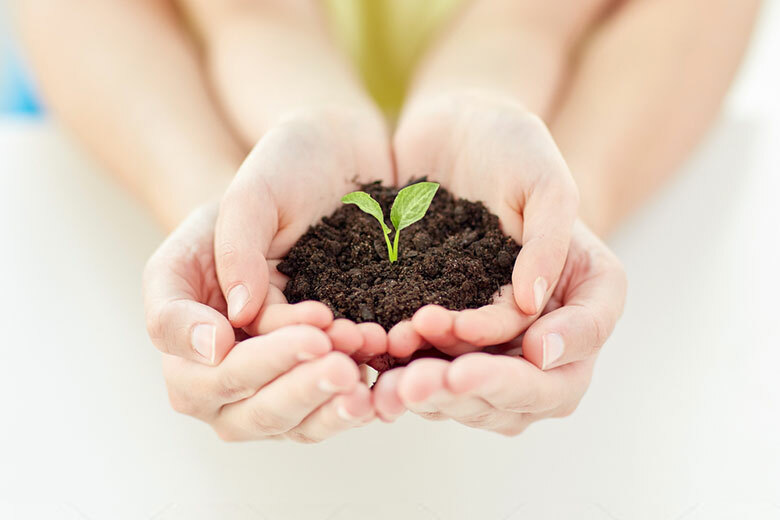 Hokto’s Kinoko does not need to be washed or rinsed because they are cultivated in a soil-free and clean environment and are 100% USDA Organic! 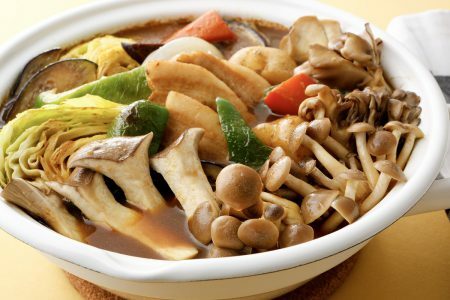 To get the most out of Hokto’s kinoko, always cook them before consuming. 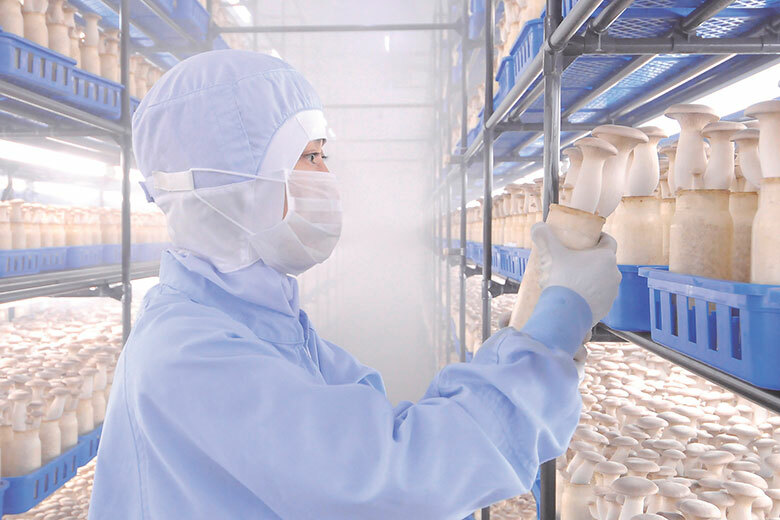 Our kinoko should not be served raw. 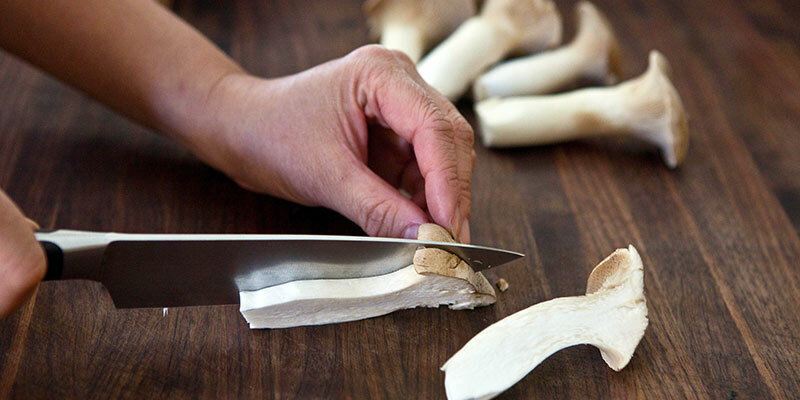 Q.Should I cut off the base of Maitake mushrooms? 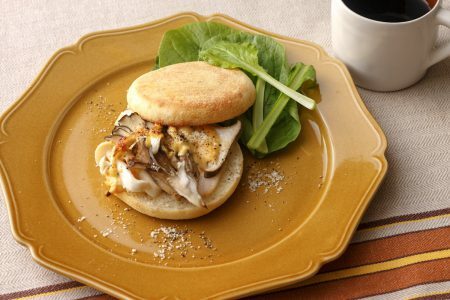 Q.My Eggs or meatloaf did not solidify when I used Maitake. Q.What are the white sponge like parts under the Maitake caps? Q.There is a brown ring on the bottom of the mushroom. Q.What is the black liquid? Is it safe?